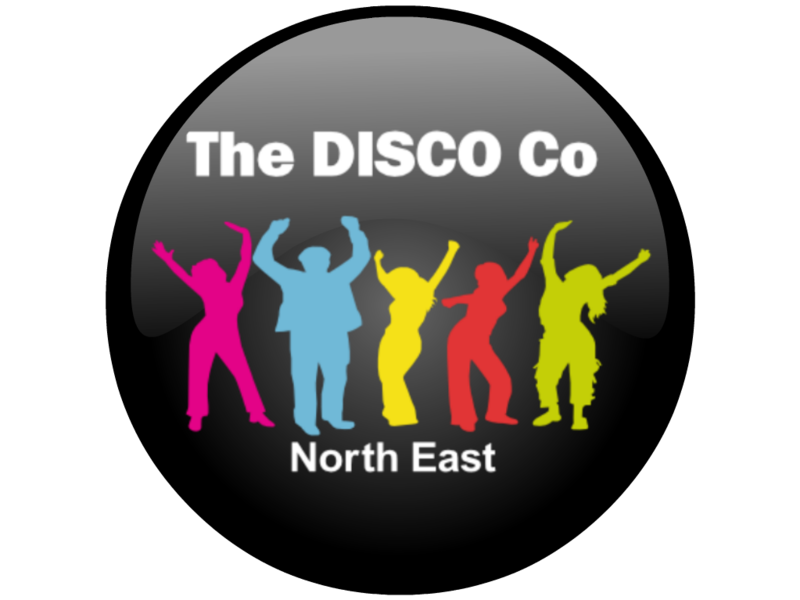 We offer photo booth hire in North East like no other, with professional lighting and high quality photos, The DISCO Co Booth is a great addition to your event. Our photo booths allow your guest to receive instant fun & exciting photos in seconds. 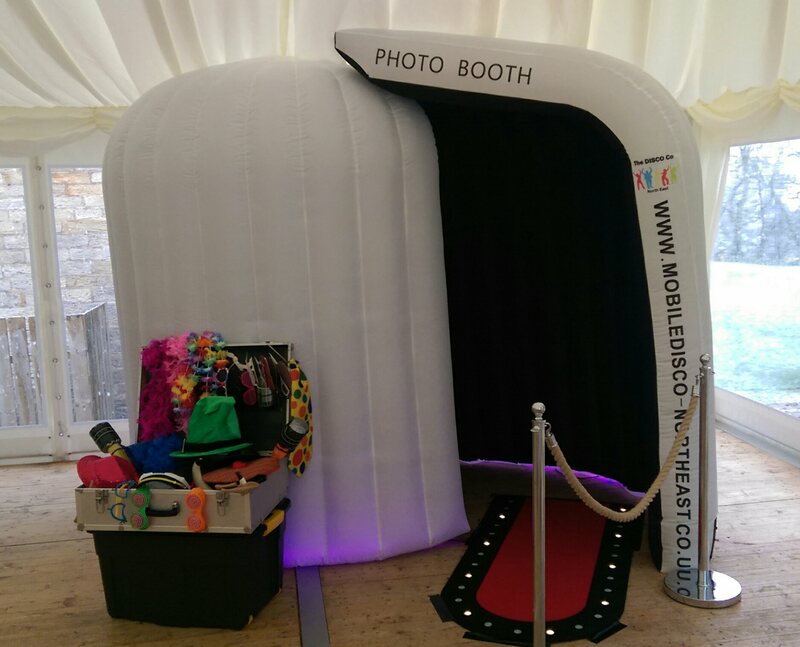 Hire our photo booths for any type of event from weddings to parties to corporate events. The DISCO Co Booth is the number one accessory to any wedding with our professional and efficient service our photo booths will keep your guests entertained for hours. Our compact and venue friendly booths can be set up within one hour and packed down in even less time. Duplicate prints for guests and yourself. Your prints would be put into a guest book to keep. Key Fobs would be available to any of your guests. Access to digital copies of your photo’s. Black and white and colour photos. **Please request Screen at time of booking. Our photo booth has its own built in LED lighting which we can program to your color scheme, or it can fade through its own preset programs. Your guests will have a great time with The DISCO Co Booth at your party. Our photo booths will capture fun & special moments with professional high quality pictures and allow your guests to have an exciting memory from your party. The DISCO Co Booth is a great way to help advertise your company, product or promotion. Our photo booths can capture both fun & serious moments with professional high quality photos, allowing your guests to have a special memory of your event. Our photo booths can also be adapted to have social media integration for further marketing and brand awareness. As with most booth companies we have a standard hire time which is three hours, however if you have one of our DJ/Discos as well as our booth, we’ll extend your hire for the full night without extra charge. We want to ensure your photo booth hire is extra entertaining. We’ve been working really hard to ensure our Green Screen technology adds to the fun factor. We have a range of Green Screen themes for you to choose from, and each theme has four backgrounds that rotate for each photo throughout the hire. Please be aware that green screen use does limit the amount of people who use the booth at any one time as background the image will not be seen. Our Green Screen is only available in our inflatable pod booths, as we place our green backdrop on the back wall of our pod. Using a few extra lights with in the booth area we can take you around the world within a few minutes, we can introduce you to Santa Claus himself or even take you to outer space. We provide photo booth hire to the Newcastle, Sunderland, Durham, Darlington, Northallerton, South Shields, Northumberland and surrounding areas. We use a state of the art professional Mitsubishi sub dye printer. What Camera does the booth use? We set the photo booth up to print 2 copies of each picture, 1 for your guests and 1 for your guest book. We ask your guests to leave messages next to their pictures. Due to our booth design we can be set up within a staggering 20 minutes! How many photos can we take ? There is no limit to the number of photos during the hire period. Do you provide staff with the photo booth? We always provide an attendant at each event to make sure that you and your guests are properly taken care of. They are on hand to answer questions, assist in the use of the photo booth and to generally make sure that everything runs smoothly. Do you have a Public Liability Insurance? What is included in the photo booth prop box? A great choice of items for your guests to play with such as hats, glasses, masks & wigs and loads more. 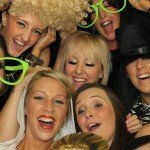 Photo booth Newcastle, Photo booth Sunderland, Photo booth Durham, Photo booth Darlington, Photo booth South Shields, Photo booth Northumberland and surrounding areas.